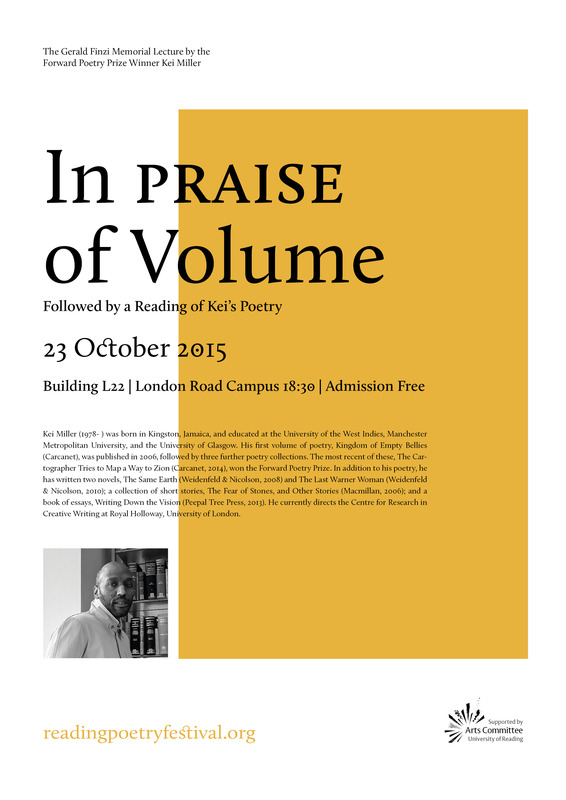 All members of staff and students are encouraged to come along to the London Road Campus this evening, Friday 23 October, to hear the wonderful Jamaican writer Kei Miller give a public lecture titled ‘In Praise of Volume’, and to read from his prize-winning poetry. This event is part of the annual Reading Poetry Festival. This entry was posted in Department of English Literature news and events and tagged Department of English, Department of English Literature, English Department, English Literature, Kei Miller, Reading, Reading Poetry Festival, University of Reading. Bookmark the permalink.